Yes, it’s March. 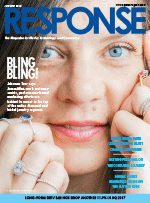 And, yes, I’m just now getting to my recap of Response’s January Issue. My bad … there have been some crazy times as we close in on MTC Expo next month. However, with a moment to breathe this week, I’m hoping that I can get both this note and one about the February issue posted. January’s book features JamesAllen.com CMO Johanna Tzur on the cover. The story about the world’s fastest growing online diamond and bridal jewelry retailer is an intriguing look at the power of online video. January also finalized our shift to becoming “the magazine for media, technology, and commerce,” and with that, we offer the first of four quarterly features on the media space — this one about the expanding world of digital advertising. We also have a look at the digital goods market and a look back at one of 2017’s biggest editorial projects — one year later — the ever-evolving consumer journey. We also move into 3Q 2017 for our quarterly media billings research, as long-form DRTV takes the stage. I guess what I’m saying is that the January issue is a meaty one. Let’s take a bite out of it. In his Legal Review column, Venable‘s Randal M. Shaheen says that consumer protection priorities are shifting at the FTC, the CFPB, and among state attorneys general. 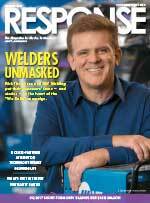 Response‘s December Issue dropped online and began hitting mailboxes the week before Christmas. While many of you have had a chance to flip through the pages or peruse the stories online, the holiday season (and catching up after it) got in the way of my monthly recap — until today. 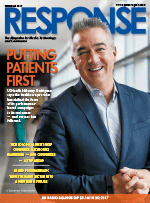 The issue is led by a cover feature on Colorado-based healthcare provider UCHealth. Features on the consumer electronics market and what’s new in the radio media space follow behind. We also take a look at 2Q 2017 DR radio media billings, and five contributed columns also give notable information from leaders in the performance-based marketing world. How did it come together? Let’s dive in. In his Support Services piece, OrderLogix‘s Bill Southwick urges readers to focus on the good things in life — and in business — as we head into 2018. In her Global Perspective column, Thane‘s Denise McRae contends that the growth of digital marketing in Europe presents U.S. direct marketers increasing opportunity. ESPN‘s Sylvester Phifer calls for leadership in the industry’s digital transformation in a stirring Committee Corner. The sub box boom causes California to once again tighten automatic renewal rules. What does it mean? Venable‘s Ellen Berge and Damon Wright give you the skinny in this Legal Review column. Matti Kon‘s Guest Opinion column says companies have to understand ransomware attacks to avoid them. The InfoTech president and CEO says 70 percent of companies hit with such attacks are out of business within six months.